What are the misspellings for bath? 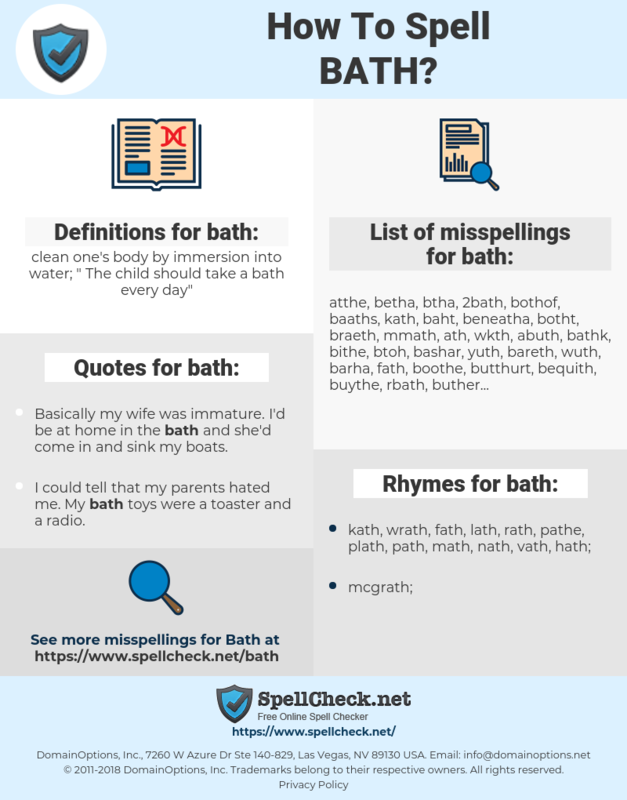 What are the common mistypes for bath? What is the definition of bath? What are the quotes for bath? What are the rhymes for bath? What are the translations for bath? 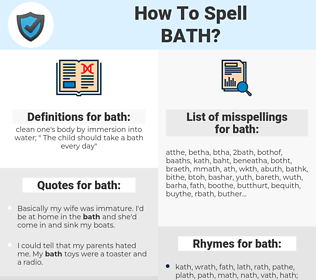 What are the common typos for bath? clean one's body by immersion into water; "The child should take a bath every day"
This graph shows how "bath" have occurred between 1800 and 2008 in a corpus of English books. When I come home and I'm tired from filming all day, I expect her to be there and make sure everything is cool for me. You know, like drawing my bath and helping me into bed. Wanne, Kurort, Badewanne, Bad, Wannenbad, Vollbad. tina, de baño, cuarto de baño, del baño.